Exposures: Shot several videos at between 7 adn 15 frames/second. Processing: Used Registax to select and combine the best frames and Photoshop to finish. 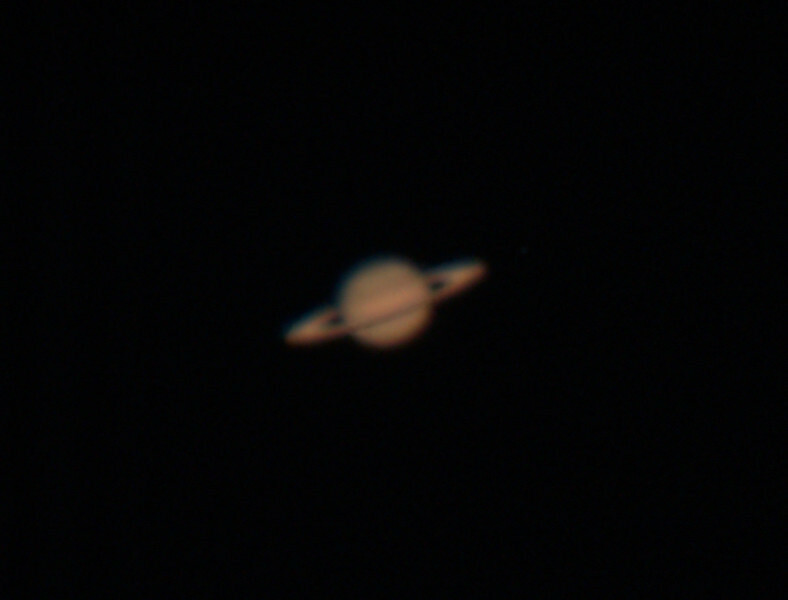 First shot at Saturn with a new video camera: A stacked group of images on a "bad" seeing night. More to come on this wonderful object once seeing in the NE gets better.